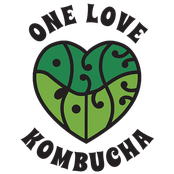 Join us for workshops where we will learn together how to ferment kombucha, kimchi, kefir, hot sauce, sauerkraut, tempeh, etc.. Fermentation plays a practical role to help reduce waste by preserving foods that would otherwise go unused. We also believe consuming a diverse amount of fermented foods helps build a strong immune system. These two reasons alone are why we feel it’s important to share our knowledge of fermentation with you!